John Searl was born November 7, 1820, in Broadoak, County Cornwall, England, was Christened February 14, 1821, in Braddock Parish, County Cornwall, England (his father William Searle was listed as a Labourer), and died September 21, 1888, in Millbrook Twp., Graham Co., KS, at age 67. He is the son of William Husband Searle of Tywardreath, County Cornwall, England, and Anna Hill of England. Elizabeth Anne "Eliza" Bailey was born April 19, 1827, in Northern Ireland, and died July 10, 1867, in Illinois at age 40. She is the daughter of Unknown. Mathilda Caroline Searl: Born January 23, 1845, near the future Village of Bowmanville, Darlington Twp., Durham Co., Canada West; Died January 16, 1936, in Minneapolis, Hennepin Co., MN (age 90). Buried in Lakewood Cemetery, Minneapolis, Hennepin Co., MN. Married (1) October 5, 1865, in Dixon, Lee Co., IL, to Joseph Elliott Cooley: Born November 15, 1843, in Pine Rock, Ogle Co., IL; Died December 12, 1898, at his home, Rockford, Winnebago Co., IL (age 55). Buried in Cooley/Seaworth Cemetery, Pine Rock Twp., Ogle Co., IL. 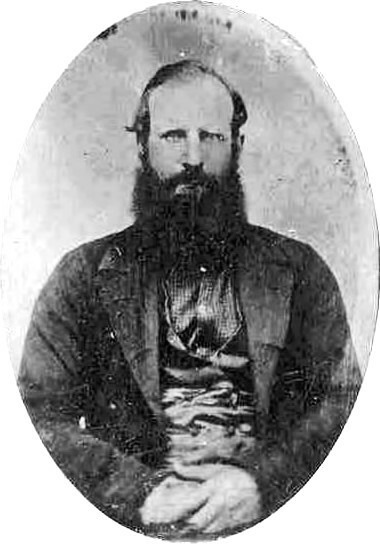 Divorced about 1873 in Unknown. Remarried (2) August 19, 1880, in Charles City, Floyd Co., IA, to Joseph Elliott Cooley. Divorced before 1885 in Iowa. Married (3) September 14, 1888, in Floyd Co., IA, to Benjamin Franklin "Frank" Brown: Born November 10, 1837, in Indiana; Died February 27, 1897, in Nebraska (age 59). Buried in Wyuka Cemetery, Lincoln, Lancaster Co., NE. 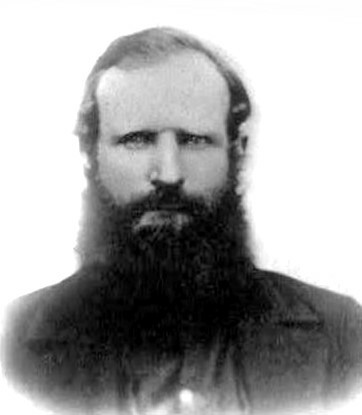 John Henry Searl: Born November 1, 1846, in Northumberland Co., Canada West; Died March 21, 1876, in Texas (age 29 Years, 4 Months and 20 Days). Buried in Gregg Cemetery, Travis Co., TX. Never married. Christopher William Searl: Born October 28, 1848, near the future Village of Bowmanville, Darlington Twp., Durham Co., Canada West; Died February 3, 1933, in Salt Creek, Natrona Co., WY (age 84). Buried in Douglas Park Cemetery, Douglas, Converse Co., WY. Married August 28, 1878, in Cedar Falls, Black Hawk, IA, to Mary M. Silver: Born May 7, 1848, in Waterford, Bellamacabron, Ireland; Died December 29, 1925, at her home, Douglas, Converse Co., WY (age 79). Buried in Douglas Park Cemetery, Douglas, Converse Co., WY. Elizabeth Ann Searl: Born October 20, 1850, near the future Village of Bowmanville, Darlington Twp., Durham Co., Canada West; Died February 16, 1936, in Pine Rock, Ogle Co., IL (age 85). Buried in Chapel Hill Cemetery, Lafayette Twp., Ogle Co., IL. Married October 27, 1870, in Ogle Co., IL, to Hachaliah Thompson Haynes: Born April 19, 1832, in Delaware Co., NY; Died July 15, 1904, in Ogle Co., IL (age 68). Buried in Chapel Hill Cemetery, Lafayette Twp., Ogle Co., IL. Thomas Greenfield Searl: Born September 20, 1852, in Ashton, Durham Co., Canada West; Died November 17, 1932, in Clarinda, Nodaway Twp., Page Co., IA (age 80). Buried in Clarinda Cemetery, Clarinda, Nodaway Twp., Page Co., IA. Married April 30, 1878, in Taylor, Williamson Co., TX, to Alice Jemima McLean: Born August 5, 1854, in Franklin, Johnson Co., IN; Died December 12,1947, in Clarinda, Page Co., IA (age 93). Buried in Clarinda Cemetery, Clarinda, Nodaway Twp., Page Co., IA. Robert Washington Searl: Born February 14, 1854, near Fond du Lac, Fond du Lac Co., WI; Died May 4, 1928, at the home of his son, Clyde, in Cedar River, Cedarville, Menominee Co., MI (age 74). Buried in a non-cemetery location. Married March 15, 1877, in Plainfield, Bremer Co., IA, to Jane Elizabeth Kemp: Born September 10, 1858, in Plainfield, Polk Twp., Bremer Co., IA; Died September 25, 1933, in Cedarville, Menominee Co., MI (age 75). Mary Jane Searl: Born October 4, 1857, near Fond du Lac, Fond du Lac Co., WI; Died 1860 - 1870 in Unknown. Stephen L. Searl: Born February 9, 1862, in Franklin Twp., DeKalb Co., IL; Died 1940 in Solomon Twp., Graham Co., KS (about age 78). Buried in Morland Cemetery, Graham Co., KS. Married December 25, 1888, in Morland, Graham Co., KS, to Hannah E. "Jennie" Hockersmith: Born April 9, 1863, in Frankfort, Carroll Co., KY; Died January 1, 1924, in Pontiac, Livingston Co., IL (age 60). Buried in Morland Cemetery, Graham Co., KS. After Elizabeth Anne "Eliza" (Bailey) Searl died, John Searl married Catharine Unknown. Catharine Unknown was born about 1818 in New Jersey and died after 1885 in Unknown. She is the daughter of Unknown. John Searl and Catharine Unknown were married about 1868 in Illinois. John Searl and Catharine (Unknown) Searl had no children. Mrs. M. H. Cleveland and Mrs. John Searl visited their sister in Garden City, KS, in 1889. Catharine Unknown was born about 1818 in New Jersey. John Searl was born November 7, 1820, in County Cornwall, England. Elizabeth "Eliza" Bailey was born April 19, 1827, in Ireland. John Searl and Elizabeth "Eliza" Bailey were married about 1843 in Canada West. Mathilda Catherine "Matilda" Searl was born January 23, 1845, near the future Village of Bowmanville, Darlington Twp., Durham Co., Canada West. John Henry Searl was born November 1, 1846, near the future Village of Bowmanville, Darlington Twp., Durham Co., Canada West. Christopher William "Bill" Searl was born October 27, 1848, near the future Village of Bowmanville, Darlington Twp., Durham Co., Canada West. Elizabeth Ann "Eliza" Searl was born October 20, 1850, near the future Village of Bowmanville, Darlington Twp., Durham Co., Canada West. 1851 Canadian Census shows John Syrell (age 30) born in England with Bible Christian religion is a married Laborer living in a Log Home in Darlington Twp., Durham Co., Canada West. Living with him is Eliza Syrell (age 26) born in Ireland, a married Spinster with Bible Christian religion. Also living there are four Syrell children, all born in Canada with Bible Christian religion: Cat. Mata. Syrell (age 7), a House Maid; John H. Syrell (age 6), a House Boy; Chris. Wm. Syrell (age 4), a Small Boy; and Eliza Ann Syrell (age 2), an Infant. Thomas Greenfield Searl was born September 20, 1852, near the future Village of Bowmanville, Darlington Twp., Durham Co., Canada West. About 1854, John Searl and family removed from Darlington Twp., Durham Co., Canada West, to Fond du Lac Co., WI. Robert Washington "Bob" Searl was born February 14, 1854, near Fond du Lac, Fond du Lac Co., WI. Mary Jane Searl was born October 4, 1857, in Fond du Lac Co., WI. The 1860 U. S. Census taken on September 1, 1860, shows John Searles (age 40) born in Ireland, and with real estate of $800 and personal estate of $530 is a Farmer, and is living in Franklin Twp., DeKalb Co., IL. Living with him are: Eliza Searles (age 27) born in Canada, a Housekeeper; Matilda Searles (age 15) born in Canada; John Searles (age 13) born in Canada; Christopher Searles (age 11) born in Canada; Eliza A. Searles (age 9) born in Canada; Thomas Searles (age 7) born in Canada; Robert Searles (age 6) born in Canada; and Mary Searles (age 3) born in Wisconsin. Elizabeth Anne "Eliza" (Bailey) Searl died July 10, 1867, in Illinois, at age 40. By 1870, Robert Searl was living in Pine Rock Twp., Ogle Co., IL, with his sister, Matilda. The 1870 U. S. Census taken on July 15, 1870, shows John Searl (age 49) born in England, and with real estate of $1,000 and personal estate of $500 is a Farmer, and is living in Douglass Twp., Bremer Co., IA. Living with him are: Catharine Searl (age 53) born in New Jersey, who is Keeping House; and Stephen L. Searl (age 8) born in Illinois. The 1870 U. S. Census taken on July 20, 1870, shows Joseph Cooley (age 26) born in Illinois is a Farmer living in Pine Rock Twp., Ogle Co., IL. Living with him is Matilda Cooley (age 25) born in Canada, who is Keeping House. Also living there are his two children, both born Illinois: James Cooley (age 7); and Wallace Cooley (age 2). Also living there is Robert Searles (age 16) born in Illinois. 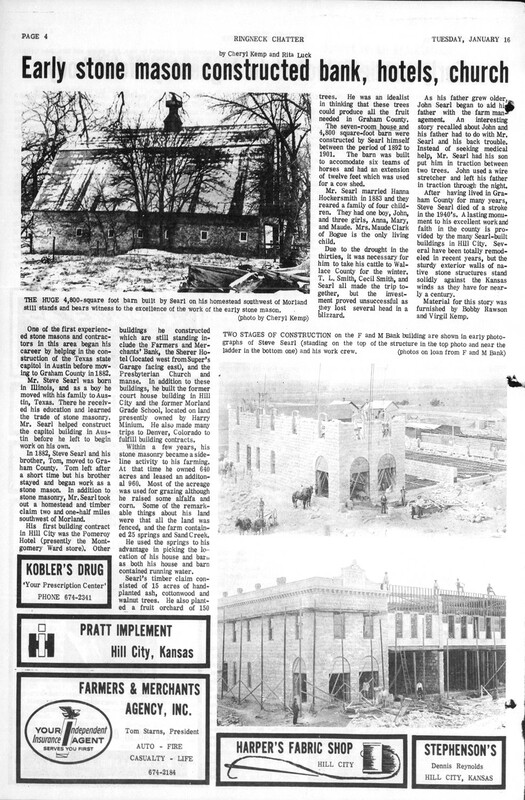 About 1872, the John Searl family moved from Douglass Twp., Bremer Co., IA, to Austin, TX, where Stephen Searl was educated and learned the trade of a stone mason. The 1885 Kansas State Census taken on March 1, 1885, shows John Searle (age 64) born in Foreign, and having moved to Kansas from Iowa, is a Farmer, and is living in Millbrook Twp., Graham Co., KS. Living with him is Catherine Searle (age 67) born in New Jersey, and having moved to Kansas from Iowa. John Searl died September 21, 1888, in Millbrook Twp., Graham Co., KS, at age 67. By 1890, Stephen L. Searl was back in Kansas, had married, had a daughter, and was living where his father had lived. The 1900 U. S. Census taken on June 23, 1900, shows Stephen Searls (age 38) born February 1862 in Illinois to English and Scottish-born parents is a Stone Mason owning his own farm with a mortgage and living in Solomon Twp., Graham Co., KS. Living with him is his wife of 11 years, Hannah Searls (age 37) born April 1863 in Kentucky to Indiana and Kentucky-born parents, with all 3 of the children born to her still alive. Also living there are his 3 unmarried children, all born in Kansas to Illinois and Kentucky-born parents: Annie Searls (age 10) born November 1889; John Searls (age 9) born February 1889; and Mary Searls (age 3) born March 1897. Mr. and Mrs. John Searl returned Monday from visiting their daughter, Mrs. Milton Foster, at Lawrence. John Searl returned Friday from Ottawa where he has been putting in a foundation for a residence. The 1910 U. S. Census taken on May 9, 1910, shows Steven L. Searl (age 48) born in Illinois to English and Scottish/Irish-born parents is a Stone Mason and Farmer owning his own farm free of a mortgage and living in Solomon Twp., Graham Co., KS. Living with him is his wife of 21 years, Hanna E. Searl (age 47) born in Kentucky to Indiana and Kentucky-born parents, with all 4 of the children born to her still alive, who is a House Parrey at Home. Also living there are his 4 unmarried children, all born in Kansas to Illinois and Kentucky-born parents: Anna W. Searl (age 20), a School Teacher in the Common Schools; John C. Searl (age 18), who Farmer on the Home Farm; Mary L. Searl (age 13); and Maude E. Searl (age 7). Between 1885 and the early 1980s Durham County went through considerable changes: Manvers Township became part of Victoria County; Cavan and South Monaghan Townships became part of Peterborough County; and Hope Township became part of Northumberland County. When Ontario County was abolished in the 1970s, the Townships of Thorah, Brock, Scott, Uxbridge, Pickering, Reach, Whitby and Scugog became part of Durham County.